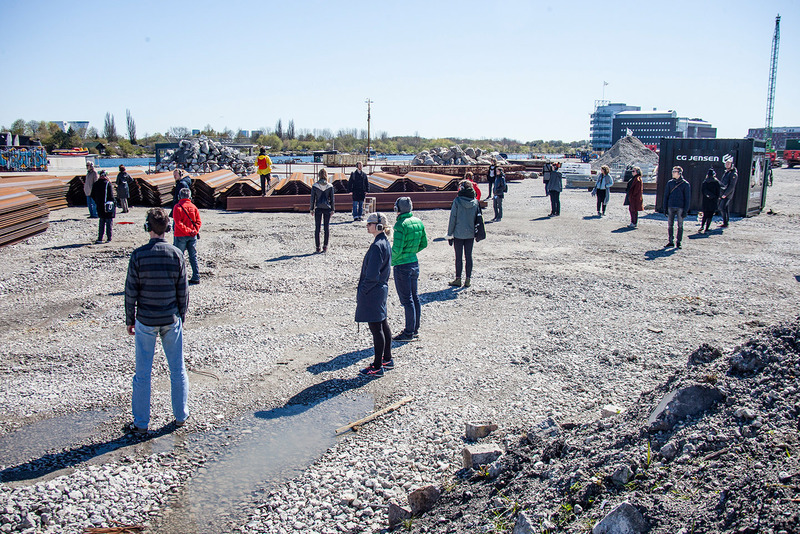 During this interactive and performance-based walking tour through Sydhavnens Teglholmen, we slow down time and observe the transformation in the happening: from old warehouses, over vast deserted fields stacked with building materials, to skeletons of houses and ready-made neighbourhoods. 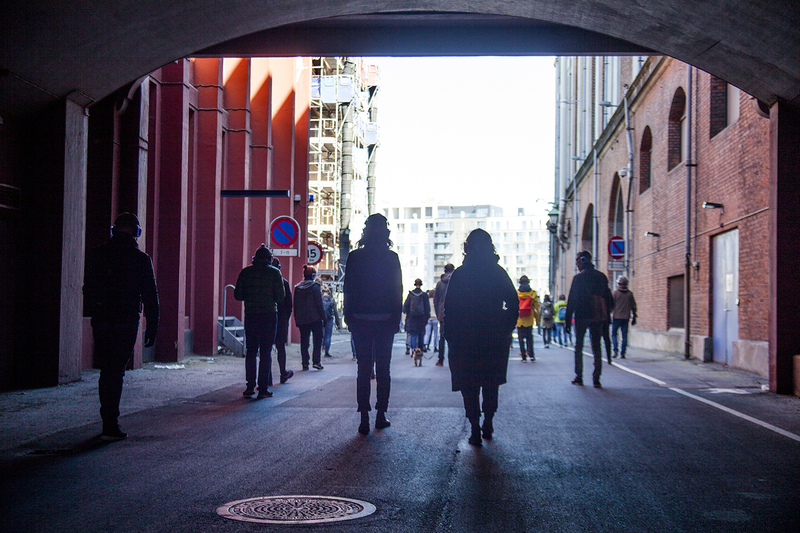 During the tour participants receive a set of wireless headphones and get guided by soundscapes, text pieces, music and instructions. 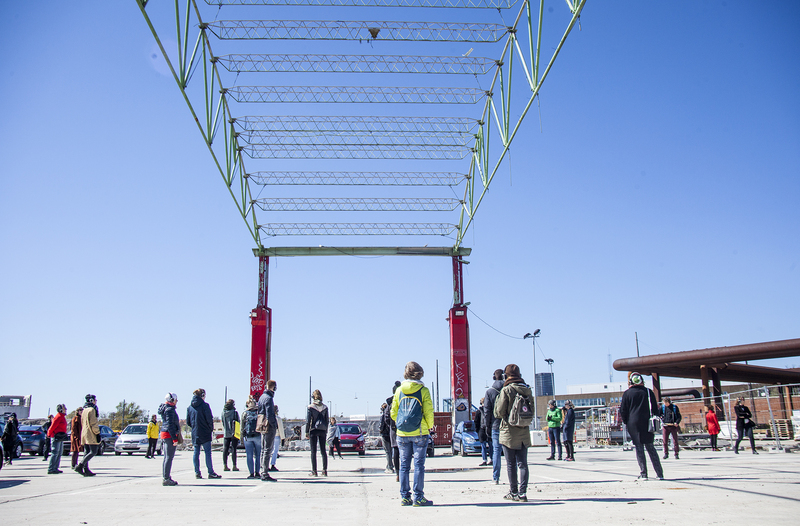 This leaves the participants with a new understanding of both the physical environment of the city, as well as their own body movements in the urban space.